In the lead position this week is a game that despite hitting my pet peeves—chaotic, an “intentionally vague ruleset,” and that annoying exclamation point—still somehow manages to sound interesting. Mr. Game! appears to be the kind of game where the winning player changes rapidly and is pretty much selected at random. There must be something subliminal hidden in the video. Among Nobles, though, makes a more direct play for my interest. It’s a game of political intrigue and military conquest in feudal Europe. Military conquest is abstracted at a high level. But more interestingly, political intrigue in the game is focused on the arrangement of marriages between noble houses. When cards representing royal husbands and wives are brought together, the number of actions available to the owning player multiply. Updating to the Fate Core rule set is the Bulldogs roleplaying game. [Oh, wait a minute. It’s got one of those pesky exclamation points too, so…] Bulldogs! is for high-action science fiction adventure in space. But not for some sissy fantasy version of science fiction. Rather for adventure in a rough-and-tumble, save-your-own-hide version of space. 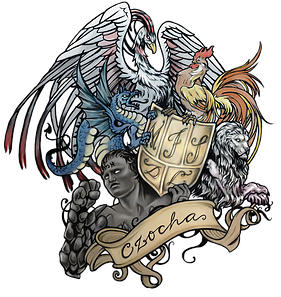 In Poland, a team is planning to rent out Czocha Castle for a series of 4 day LARPs about a College of Wizardry. Each event can accommodate about 130 people. Though a variety of lower-priced pledge levels are available, tickets start at $375. Or for $75,000, the organizers will run a private LARP just for you and your friends. Puca Trade is seeking support for extending its service to Magic: The Gathering Online. With $50,000 to finance further development work, Puca Trade also promises that users of its service will even be able to trade physical cards for digital ones. Best Treehouse Ever has players, of course, competing to build the better treehouse. The game incorporates card drafting and spacial reasoning, in that the rooms to be built an a treehouse are featured on individual cards, and when built must be added in balance (to prevent the house from falling down).